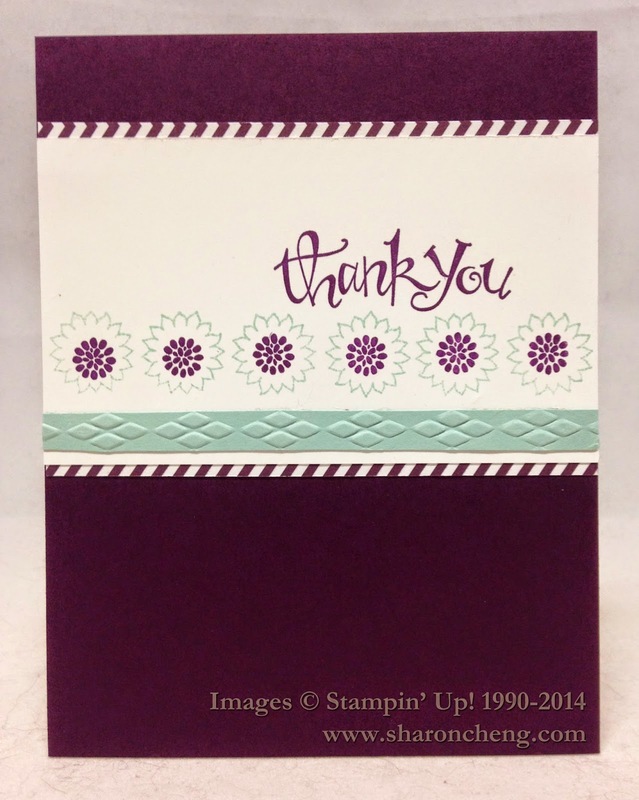 I used the Bordering Blooms photopolymer stamps set to make this quick and easy card for my swaps at Stampin' Up! 's Inspire, Create, Share Convention 2014. My stamp club made this thank you card earlier this week. They found it easy to line up the images with the clear stamp set. Notice the small diagonals on the designer series paper that I used to make the thin borders? This tutorial shows you this quick and easy technique using the Backgrounds Designer Series Paper Stacks. I'm looking forward to the first day of convention! I'll be catching up with old friends and meeting new ones. I'll share the swaps that I receive with you on my blog. And I plan to post other fun convention highlights too!